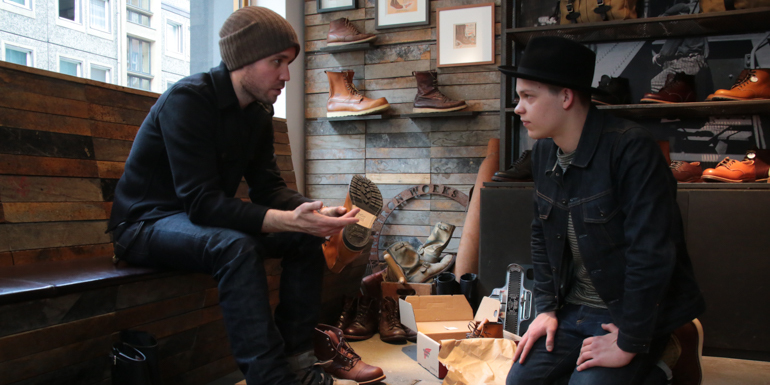 Earlier this year, we asked our readers to think of everything they ever wanted to know about Red Wing Shoes.We took your questions to the guys from Red Wing Shoes Berlin, Hamburg, and Munich and now we have the answers. Instead of a regular Q&A, we’ve divided the answers to your questions into three parts, together comprising the ultimate Red Wing buyer’s and owner’s guide. 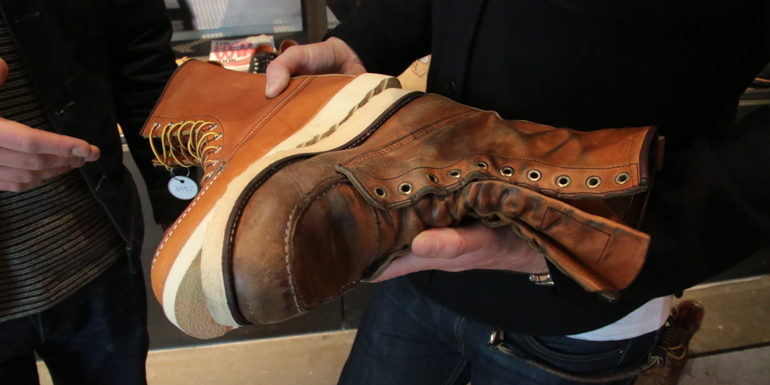 In Part 1, which is this article, we will give you the definitive guide on how to size and fit your Red Wing Shoes; how they should feel when you first try them on and what you should look for when purchasing your first pair of Red Wings. In Part 2 we will talk about the best way to break in your new boot. 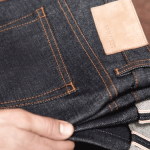 We will also look at the materials and manufacture of a pair of Red Wings as well as the ethical and sustainable issues associated with such a high quality product. In Part 3 we will explore the maintenance and care of your Red Wing Shoes as well as your options when it comes time to resole your boots. 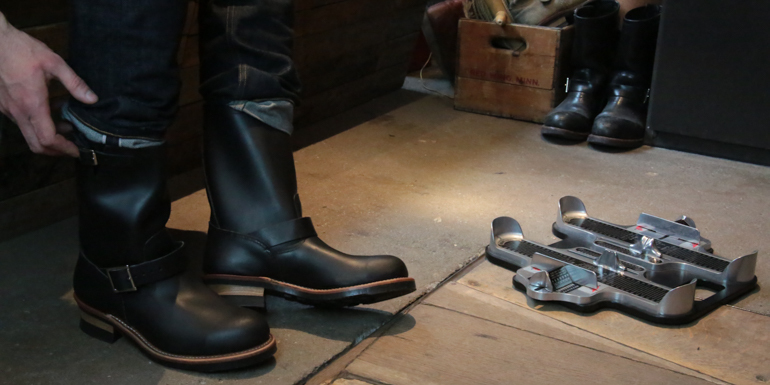 So, let’s get you into a pair of quality boots! I’ve had my Red Wing 877s for about three years now, and to be honest they are hardly off my feet. 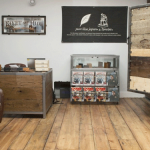 During a chat with Kay Knipschild, owner of the Red Wing stores in Berlin, Hamburg and Munich, he mentioned the importance of letting your boots dry for a short time in-between wears. So I headed along to Red Wing Shoes Berlin in search of another pair. First off you get your feet measured up. This is a pretty important step.You may think you know your true size but with a pair of Red Wings it is quite likely you will need to size down. Each store has a Red Wing specific tool. It not only measures the length but also the width of your foot. Turns out I am an exact US size nine on the right, slightly smaller on the left and I have slightly narrow feet. All important information. When you get to your second or maybe even third pair of Red Wings it is easy to find your right fit. It should be noted however, if you are coming from a pair of sneakers it is a big leap. There are a few points you need to watch out for.Toes: The first thing you need to ensure is that your toes have some air, some freedom of movement. If they are squeezed together or pushed right up against the front of the shoe it is a no go. Feel: The boots should sit tight on your foot from the sides, tighter than you are normally used to if you are coming from fashion boots or trainers. Try to get the boot the smallest size while maintaining movement around the toes. Proportions: You need to test to see if the boot will bend in the right place. If you have a wide foot and you need to size up accordingly your toes may sit too far back, which will create a lot of discomfort. You will see that the boot bends in the wrong place. In the end I sized down half a size from the 877’s. It is a very different boot and I felt that I had too much movement in the heel. It is these specifics that make all the difference. When he was measuring up my feet, Mick noticed that I was wearing totally inappropriate socks. A good sock is essential to getting the perfect fit from your Red Wings. Business socks are not suitable, they are too thin and flimsy. The minimal you should go with is a tennis sock. They have a box of socks you can borrow when buying your boots but I would encourage you to spring for a pair of your very own. Learn about how to buy Red Wings online on page two.